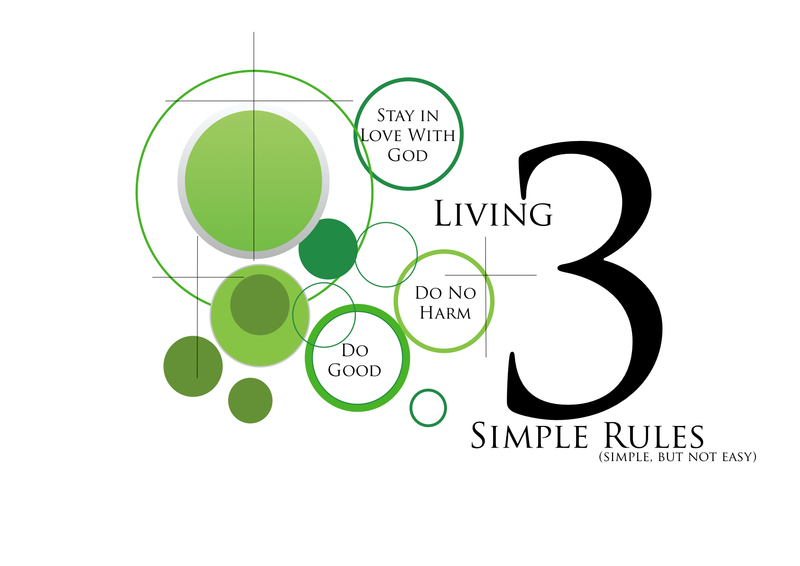 Part 1 of our 3-part series based on the book Three Simple Rules by Bishop Job. I hope you enjoy. This morning we’ll start with our Scripture reading and I’ll just have to hope you don’t fall asleep. If you have your Bibles or a Bible app with you, would you please go to Matthew 26:47-54. Matthew 26:47-54. Now this passage takes place right after Jesus was praying in the Garden of Gethsemane. He asked God to relieve this burden from him knowing he was coming up on the time of his crucifixion. But submitted to God’s will and said, “Not my will but yours.” The disciples who were with him fell asleep multiple times as Jesus was praying, but after he was done, Jesus went to them, woke them, and warned them that the time had come for him to be betrayed. …I will apply, for the benefit of the sick, all measures which are required, avoiding those twin traps of overtreatment and therapeutic nihilism. …I will remember that I do not treat a fever chart, a cancerous growth, but a sick human being, whose illness may affect the person’s family and economic stability. My responsibility includes these related problems, if I am to care adequately for the sick. …I will remember that I remain a member of society, with special obligations to all my fellow human beings, those sound of mind and body as well as the infirm. That’s not the complete oath but highlights of it that really made me think about how much thought and care goes into a doctor’s work. There is so much more to medicine than simply diagnosing a problem and giving out medicine. At least for the good doctors. We’ve all heard stories on the news about doctors who violate their oath, who take advantage of the sick and elderly, who become pill farms for drug users, but most doctors live by this code of ethics that first and foremost seeks the wellbeing of the patient who has entrusted their health to the doctor’s care and a heavy responsibility that is. 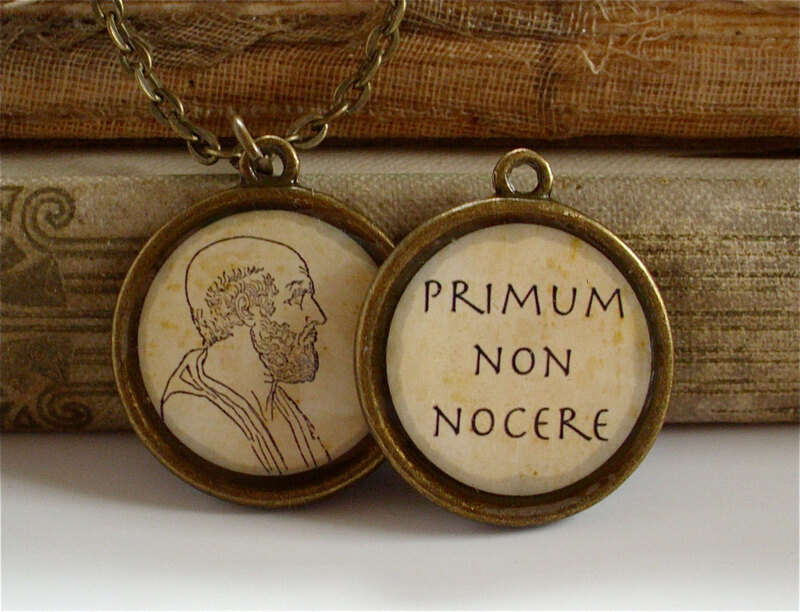 And so even though it may not officially be part of the Hippocratic Oath, the idea that we should “do no harm” is at the forefront of everything a doctor does. It is also the first and most primary rule of conduct in Methodism. As long as there has been a Methodist Church, and even before there was officially such a thing, John Wesley taught three simple rules: Do no harm, do good, and attend upon all the ordinances of God which Bishop Reuben Job summarized as “stay in love with God.” Do no harm, do good, and stay in love with God. Over the next three weeks, we’ll be talking about these three simple rules and how we can apply them to our lives. But going back to the first rule – “do no harm” – it is far more complex than simply not bringing physical injury to people. We can probably all agree that we shouldn’t kick puppies. We shouldn’t break people’s arms. We shouldn’t abuse our spouses. Those are no brainers. But harm comes in many forms and not all of them are physical. Even looking at the Hippocratic Oath, harm can come when we are too proud to admit we don’t know something. Harm can come when we fail to take into account other people’s emotional wellbeing as well as their physical one. Harm can come when we fail to take into account how our actions will affect those around us. It isn’t as cut and dry as we like to think. When Wesley wrote about these three simple rules, he talked about harm in a variety of ways. He mentioned things you would expect. No fighting, no quarreling, no brawling. I’m not sure why John felt the need to call out brawling separate from fighting but he did. But then he put in other stuff. No getting drunk. No suing your brother. No cheating the system. No working on the Sabbath. And on and on. My favorite was “using many words in buying or selling.” But in essence, this list of rules Wesley wrote came down to three variations of harm – harm to self, harm to others, and harm to God. Harm to self. Harm to others. And harm to God. Not only are we not supposed to harm others, but that rule of “do no harm” also means not harming ourselves or God. You might wonder, “How can I hurt God?” Again, it’s not to be taken in a literal sense. We can’t physically hurt God, but we can imagine that God aches and cringes when do things in the name of Christ and end up driving people away. Westboro Baptist Church always comes to mind when I think about churches that drive people away from Christ instead of toward him. They are the ones who have staged protests at people’s funerals and other places none of us would dare even think about. Their judgmental, confrontational, and abusive way of doing things makes even Christians cringe so you can imagine what it does to those outside the faith. But even inadvertently we sometimes bring harm to others and to God. At one of the churches I used to serve at, they had a thriving youth group. But they developed cliques as often happens among groups of kids. 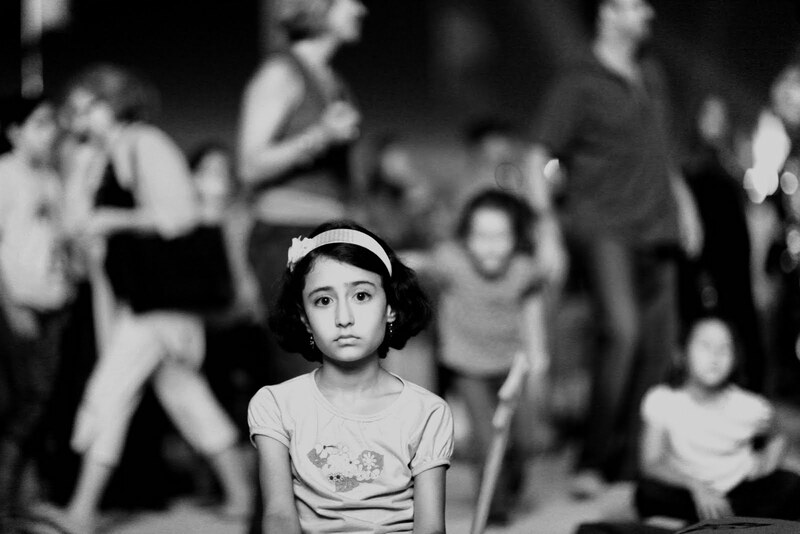 Without realizing it, they started to exclude those who didn’t fit in with them, and slowly but surely some of the kids, the ones who didn’t fit in, dropped away. Nobody even noticed because it was still a large group, but the parents of those kids knew. I happened to talk to one of them after I had become the pastor and she shared with me her experience. She told me how alone and isolated it made her feel to never really be included. She wasn’t asked to help or invited to be part of the group. She wasn’t often invited to be involved in some of the activities. She told me how her daughter tried to fit in, but just couldn’t crack the clique’s shell. And how eventually she told her mom she needed to find another church. Thankfully, she decided to stay in church even if it was somewhere else because too often kids like that drift away. It happens with adults also. We develop close friends who are all Christian. I mean why not? We all like being around people who share common interests. But when we’re not careful, we begin to wear our Christianity like a badge of honor. We start being filled with pride about our Christianity as if we had something to do with it other than simply acknowledge that we are broken human beings. We start flaunting it with bumper stickers and t-shirts that do more to offend than attract. And we start being exactly the “turn off” to Christianity we had never intended to be. This is how we harm God. This is how we harm others. At one time or another, you’ve probably been that person on the outside, whether it was at church or not. In some circle somewhere, you were excluded for no good reason and it probably hurt. But we can avoid doing that by implementing one simple idea. I think that’s it in a nutshell. Be thoughtful. Consider others before yourself. Think about how your actions AND your words will hurt others. Take time to pause before uttering something painful. Maybe the person you’re talking to said something hurtful or painful or plain stupid and you are so tempted to lash out, but consider before speaking, because the other person probably didn’t. I’ve found in my own life and in the experiences of others, that when people say hurtful things, it’s rarely with careful planning that they do it. Usually, they react because they are angry, mad, or hurt. And we can probably all agree that’s not the best place to react from. 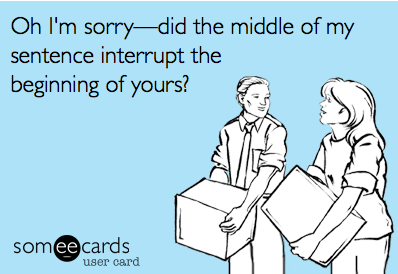 Sometimes, stepping back from a situation and taking two seconds before reacting is the best possible medicine. I’ve never forgotten the advice Emma gave me one day. I was upset about something and Emma looked at me and said, “Daddy, my teacher told me that when we’re upset we should take three deep breaths and count to ten.” Of course I followed her advice, and by golly it worked. Will that solve every problem? No. I’m sure it won’t. But it probably will avoid a good many more. Of course there will be times when harm seems inevitable. But in those instances, wouldn’t it be best to be thoughtful – to be intentional about how to do the least amount of harm? I was thinking about the Hippocratic Oath and how part of it is to always remember “warmth, sympathy, and understanding may outweigh the surgeon’s knife or the chemist’s drug.” Sometimes we all need some warmth, sympathy, and understanding. In the name of the Father and of the Son and of the Holy Spirit. Amen. http://www.whatchristianswanttoknow.com/how-did-the-12-apostles-die-a-bible-study/ Personally I haven’t verified all the apostles deaths, but most Biblical scholars agree that many of them died as martyrs. This account provides more detail than most but I haven’t had time to verify each claim. Overall, it’s a pretty trustworthy site though.